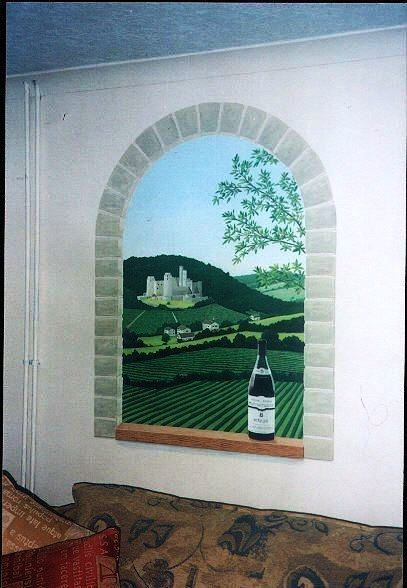 This trompe l'oeil window was painted in the sitting room of a private residence. The stone arch matches the other architectural features in the house and shows a bottle of fine wine on the window sill with a French castle nestled amongst vineyards in the distance. It took 4 days to complete and measures almost 4ft high.